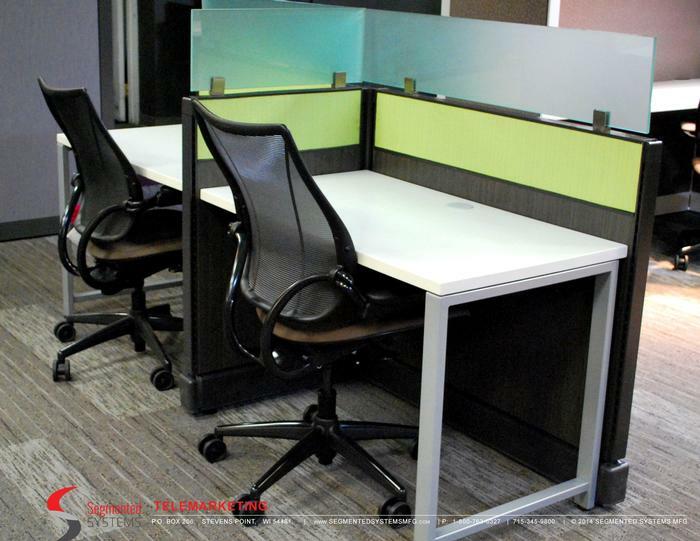 The station featured here is a wonderful example of Segmented Systems' versatility. 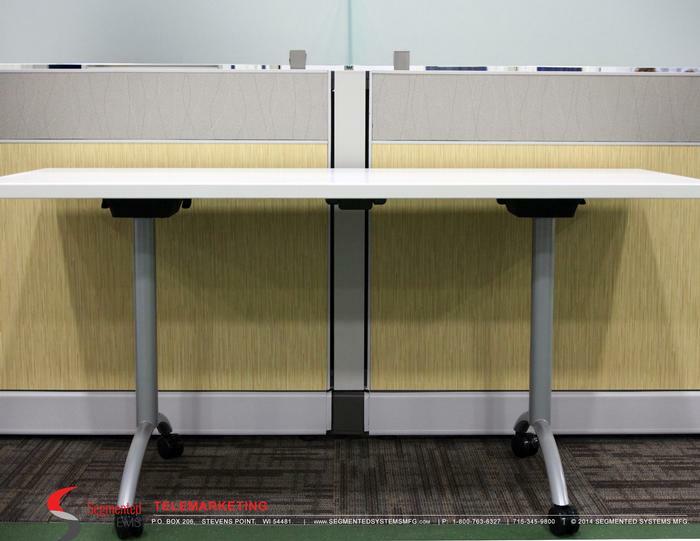 Universal components and connectors allow for endless design possibilities. 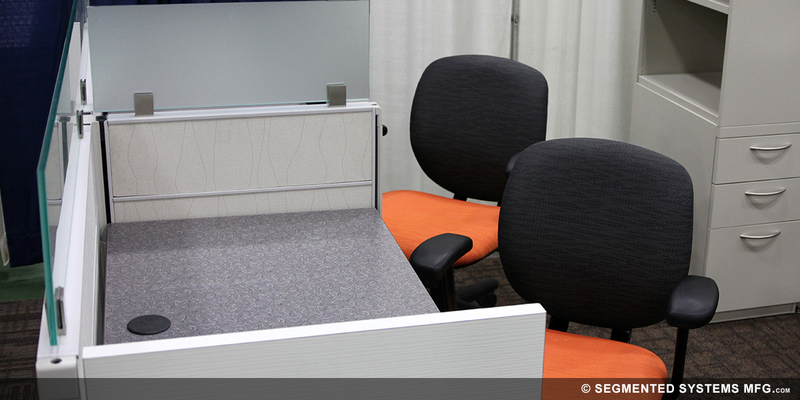 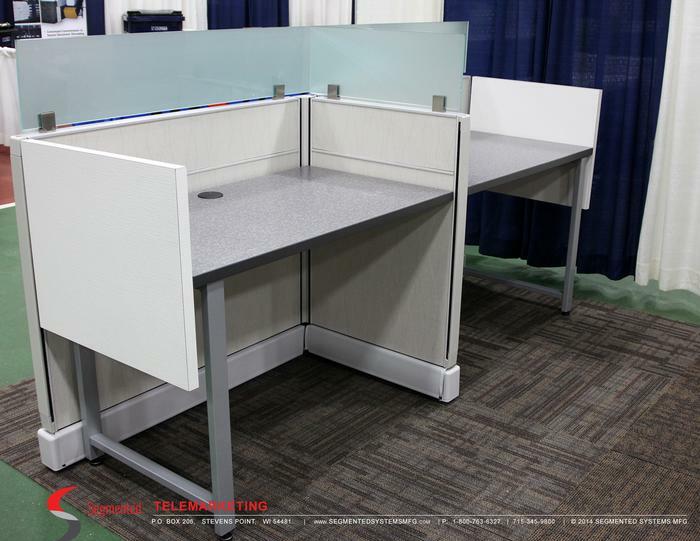 Select from our large library of fabrics, laminates, and resin panels to create the station you want. 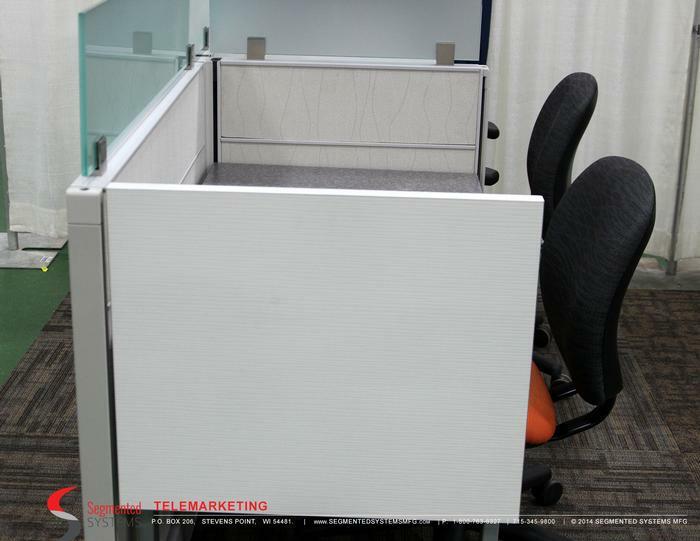 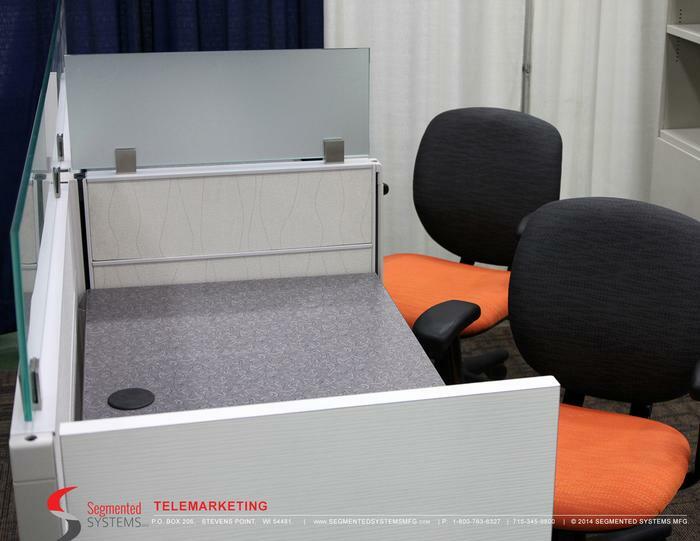 Our designers combined the use of laminated panels and painted metal leg bases to support this unique telemarketing station, and there by to create a visually appealing design.